The Marine Alliance for Science and Technology for Scotland (MASTS) is a pooling consortium of organisations engaged in marine science and represents the majority of Scotland's marine research capacity. 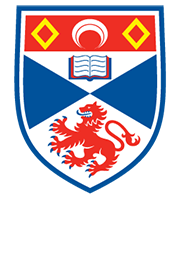 The core members of MASTS are the Universities of St Andrews, Stirling, Aberdeen, Strathclyde, Glasgow, Highlands & Islands, Edinburgh Napier and Heriot Watt, together with Marine Scotland Science (a governmental department). Three further universities (Dundee, Edinburgh and the West of Scotland), a privately funded marine laboratory (St Abbs) and Scottish Natural Heritage (an NGO) are associate members. I work across and on behalf of all these organisations and institutions. MASTS has also recently formed a company – MAST-Scotland – which is a Company Limited by Guarantee with charitable status. Through this company MASTS can now act as a lead organisation on grant proposals, issue its own contracts and handle funding sources. 1) Being an Associate Scientist for SOI Ltd, a wholly owned subsidiary of the University of St Andrews which offers a range of services that provide customers with the best information available for the management of marine and coastal resources by industry, government and NGOs. I have experience designing and managing research projects, ranging from small scale monitoring studies to large-scale interdisciplinary partnership projects. I work in freshwater, estuarine and marine environments. 2) I have project management skills and experience of working with sub-contractors and executive management groups at both UK and European levels. 3) I have excellent event management experience. As well as being responsible for the MASTS Annual Science Meeting which is now the largest gathering of marine scientists in the UK, I was a member of the organising committee for the World Conference on Marine Biodiversity. This conference was held at the Aberdeen Exhibition and Conference Centre, 26-30 September 2011, and attracted over 1000 abstracts. 6) I am a member of the Sediment Ecology Research Group and use field observations and manipulative experiments to address issues relating to benthic ecosystems. I am particularly interested in the ecophysiology and community dynamics of microphytobenthos to a variety of environmental variables and how this can affect sediment stability. For example, previous research has investigated the influence of elevated atmospheric carbon dioxide concentrations on a natural estuarine microphytobenthic assemblage. As a member of SERG I am involved in helping undergraduate and PhD students, occasional lecturing, teaching on field trips, and paper writing.